So, we went to the Pleasantville farm this past Saturday. It's pretty cool to live in a town with an organic farm less than a 1/2 mile from our home. They are renting out planting beds for a pretty good price. Our yard consists of 4.5' X 108' on either side of our house. The 20X14 courtyard is completely patio'd over. We don't have room for a garden. We're going to rent a 39" X 24' bed for $200 a year and it includes irrigation and a community shed with tools. Compared to other places in the area this is a really good deal and we can't beat the convenience. The closest place we'd be able to rent a bed otherwise is at least 25 minutes away. Since we love strawberries, we've decided it's a plant we definitely want in our beds. More to come as we decide on other plants. 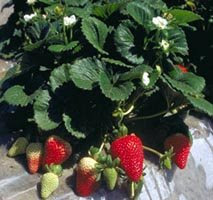 Description This neutral bearing strawberry plant provides a continuous supply of strawberries throughout the growing season. It is resistant to root rot and Verticilbium wilt. This strawberry is distinguished by its long, conical & symmetrical shape. It is known for being a firm fruit with excellent flavor. Prune the runners in the first part of the growing season (These can be put in pots to root & re-plant later). Pinch the first flowers to encourage leaf growth which leads to more fruit. Fertilization Top quality compost encourages beneficial bacteria & earthworms. Fertilization beyond this is generally unnecessary. Growth Cycle Begins to fruit in June and should continue through Fall. Maintenance Level Constant weeding is necessary as the shallow root system does nothing to compete with weeds. Weeds can be minimized by mulching and/or straw. Birds love the berries and will pick them off faster than you can unless you take measures to scare the birds away. This can be done with flash tape or by simply putting bird netting over the top (recommended). Fruit will rot when it ripens in contact with the ground because of excess moisture. Straw will help prevent the fruit from touching the ground and act as a protection from the excess moisture. Slugs & snails are attracted to the plants. Keep them away with traps or copper strip barriers. Hi! Thanks for all the great information! I really like your site! BTW ... thanks for following One A Day ... I'm following you, as well! I saw your comment on Naturally.Natalie's blog and you mentioned that you have little yard space and just renting a garden. 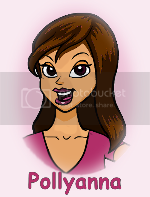 I became interested to visit your blog because I want also to have a garden but like you I have a limited space. I read on your Albion Strawberries post that you are renting a planting bed. I'd like to have one but we don't have planting bed here in the Philippines, I was wondering what kind of material that planting made off. I will just try to create one if possible and I also want to know if that planting bed can be elevated so that I can use the space below it. I'm also thinking if I can put it on our rooftop. By the way, thank you for your very informative blog. The information you have posted will help me a lot in creating my own backyard garden. This is the first yr Ive had satisfactory results w/ strawberrys. I did plant Albion's & it is the end of may. The berries are beautiful, sweet, juicy, & nicely sized. The difference from previous experience's was I designed a soil w/ ph of 6 from a 7+, & lots of organic material, pine needles etc. Do not add ash as it will raise the ph of the soil. All I can say now is yummmmmm. I planted Albion and Earligrow this year. Both were fantastic. The earligrow only bear once in June, but I love using them for jam. The Albion grow all summer and were quite large and very sweet. I would definitely keep growing these.